We’ve have some scattered looks at the massive collection of SpurSniperSeven a couple of times before. The thing is that his collection, which apparently spans over 1,500 pairs of player exclusives alone, is so gigantic that it’s almost impossible to capture the whole thing at once. Giving us another look at what the man is working with is other noted PE collector Phase 2, who recently caught up with the man also known as PE Vault to take a look at what he’s working with. 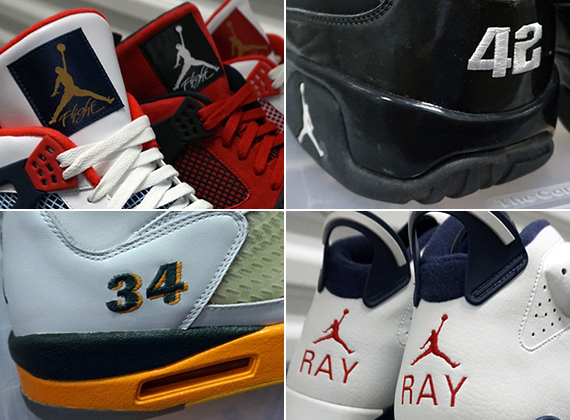 Continue reading to see some of the insane gems, Air Jordan and otherwise, that the man has access to and let us know in the comments if you’re impressed.